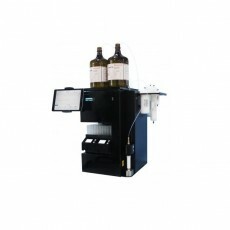 The SepaBean machine is an innovative flash chromatography instrument designed specifically with the chemist in mind. Its unique user friendly software interface allows seamless data collection and sharing as well as remote access. Besides the basic function of separation and purification, SepaBean®machine is a new type of Flash Chromatography System with innovative approaches on technology learning and knowledge sharing. With four different versions available there is sure to be one to suit almost every budget and application. Entry level model with all the features of SepaBean control software. Meet the demands of daily separation and purification, including normal phase and reversed phase separation. Cost effective model with all features of SepaBean control software. Binary gradient with any combinations of two solvents. Optional ELSD to cover more types of samples. Standard version. Binary gradient with four solvent lines, high pressure mixing. Optional ELSD to cover more types of samples. Medium pressure model which could perfectly match with SepaFlash spin-welded columns for higher separation efficiency. Binary gradient with any combinations of two solvents, 3rd solvent as modifier, able to run complex separation conditions. Optional ELSD to cover more types of samples.